Years ago this buzzer system was the only source of communication between the driver and tiller operator. Now with today’s modern fire apparatus the tractor drawn aerial driver communicates with the tiller operator using headsets. These headsets can be hardwired from the tractor to the trailer or wireless headsets are used. 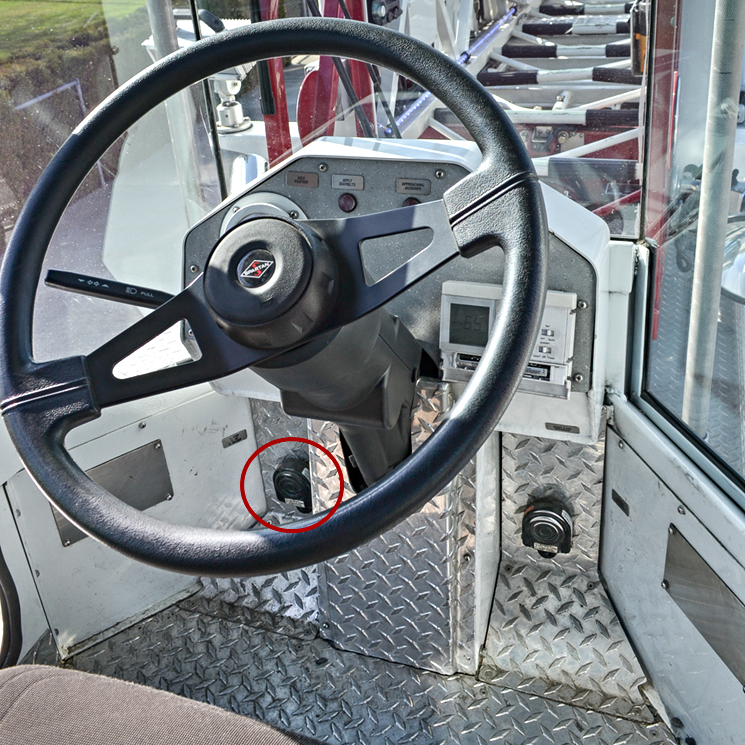 The buzzer system has become a backup communication system between the driver and tiller operator in the event that the headsets are not working. The buzzer system is an emergency safety device. Although the main body of communication will be through the headsets, it’s vital that the driver and tiller operator are familiar with the audible sound that the buzzer system makes. Tractor drawn aerials use numerous audible sounds to designate specific functions on the apparatus such as compartment door open, jackknife alarm, seat belt alarm, etc. These audible alarms can sound similar to the buzzer system or worse the manufacturer simply uses the same sound for multiple different functions. It is easy for the driver and tiller operator to become complacent when the buzzer system never gets used. It can be a dangerous situation if the tiller operator loses communication capability with the driver and tries to signals stop using the buzzer system, but the driver does not recognize what the sound means. The last thing you want to hear from the driver is “what’s that sound?” as the drivers still moving the apparatus. The driver should know this sound without thinking about it and the sound should be an immediate “stop” action item. Then the driver can ask questions as to the status of the situation and tiller operator. 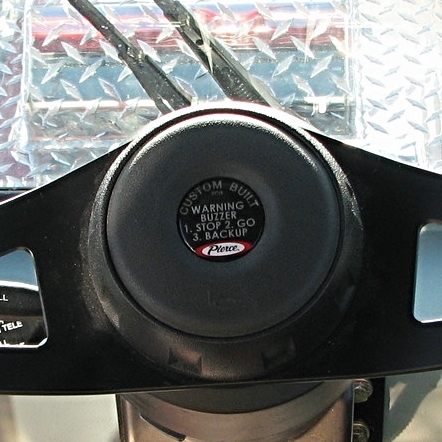 One continuous buzzer signal by the tiller operator indicates an immediate stop signal to the driver. Two buzzer signals by the driver or tiller operator indicates to the other that the apparatus is ready to move safely in a forward direction. 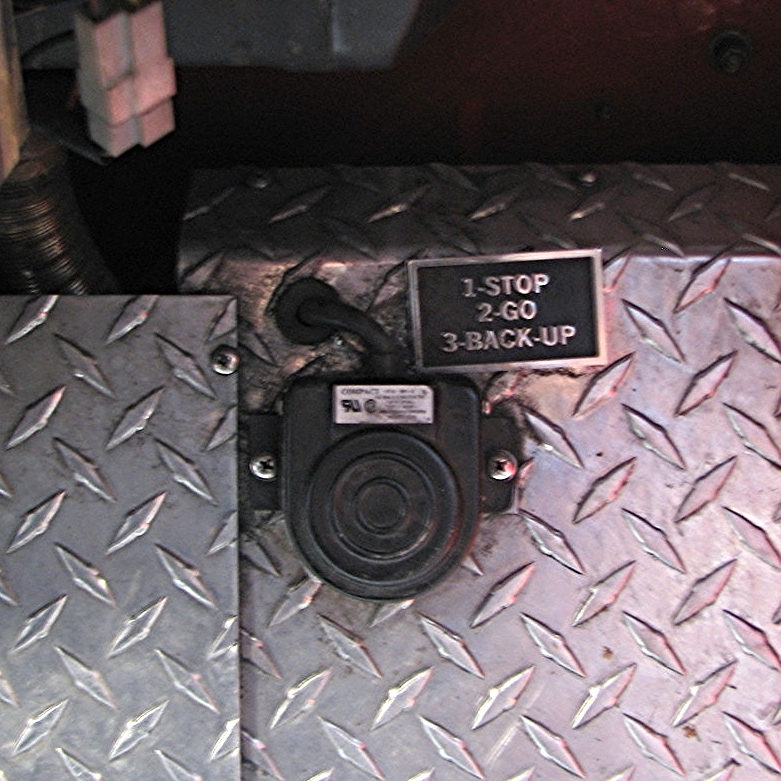 Three buzzer signals by the driver or tiller operator indicates to the other that the apparatus is ready to move safely in the backward direction.